The blank version of the Field Usage Liability Waiver (this document can be verified via email through the online check in system). Team Managers can use this blank version or the auto-populated roster version to upload as a whole or individually for teams and players. 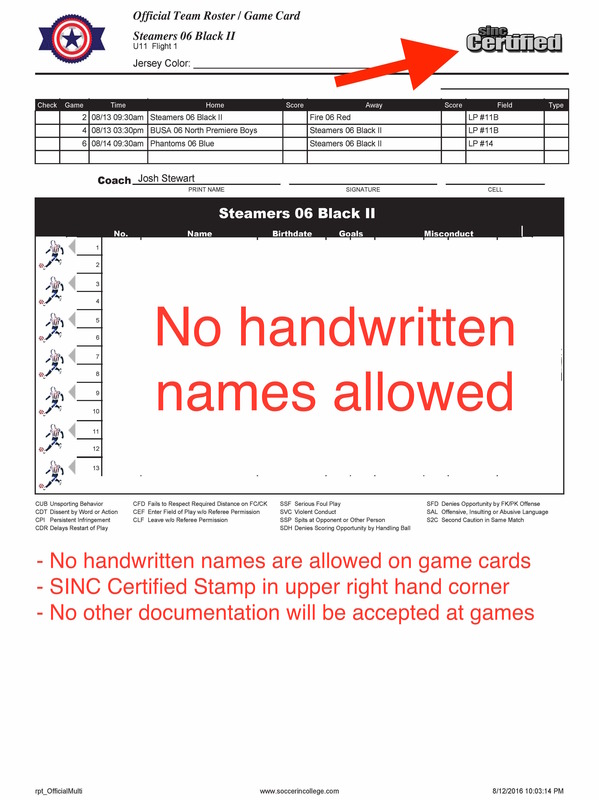 All teams are required to present this Game Card to play.